Townships in South Africa were originally formed as forced settlements for non-whites during the apartheid era. Since then they have transformed into veritable cities of their own. The townships, as a whole, are often confused with the informal areas (i.e. slums) that are a part of it. 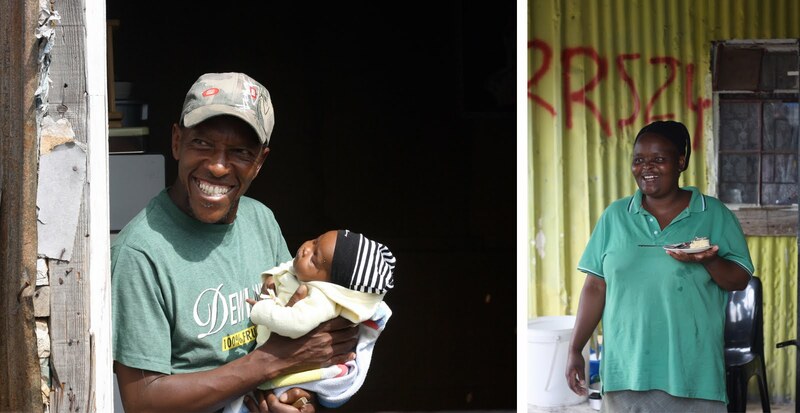 These areas, and the whole townships themselves are often ignored and misunderstood. Our tour guide, Jenny (of Nomvuyo's Tours), started our tour with the informal area of the township. She introduced us to several residents, took us to meet the elementary school teacher, and explained the day-to-day hardships of the residents. 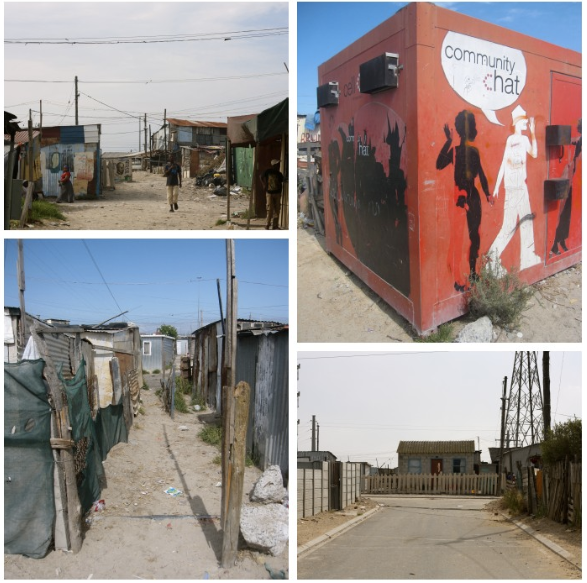 As Cape Town's largest township, Khayelitsha benefits the most from visits from tourists. We met a couple, in Cape Town, who said they didn't bother with the tour because they didn't want "to do something that was depressing" while they were on vacation. In our experience the township was not depressing (we met some really interesting people), but it did reveal how much work South Africa still has to manage the countries balance of wealth. Jenny, our tour guide, has become friends with many of the locals and we felt that we were getting a more authentic experience than what some of the other companies may have offered. Apparently, one of the residents of the township asked why tourists wanted to see "poor people". Jenny assured her that it's not that tourists wanted to see that they are poor, but rather that we were visiting them because they are so rich in culture and community. I really like the signage/street art. The children are beautiful. Great genuine photos! I love the Mama Sarah one :D I'll keep the phone number just in case I have problem with mad people! that looks like such an amazing experience. the photos are so vibrant yet show the raw living of the township. that's unfortunate that the couple you met decided to close their minds and hearts to this adventure. those kids don't look depressed to me ;) but yes, it is apparent that they still need to figure out the balance of wealth. It's a beautiful thing to see that despite all the things that can be unjust and wrong about the world, people who are strong in spirit will always stay strong. this was very inspiring. it's lovely to see the beauty that all cultures and countries have to offer and you both captured it so well. can't get enough of the smiling faces of the children! some people "travel the world" some set off to "see the world"..big difference i think. OMG! I love these pictures! I get so excited looking at the beautiful smiling faces of those poor under-privileged children. It makes me want to cry into my glass. :( When will the world learn that we cannot treat children like this anymore! You two are saints for showing the world how civilized people should act towards these people. Interesting tour! Glad to see you are having a range of enlightening experiences! Mat I recommend Namibia, where I spent 2 years? beautiful images! sounds like quite a tour. what i sometimes don't like about travelers though is it seems like they view locals as if they were a zoo exhibit. not saying anything about you here, as i really don't know you.. but it certainly made me think of that when i read the question: why do tourists want to see poor people? it's such a profound question to me! i feel like i would need to get into the environment and try to help. but then, who am i? and how can i even help? these pics remind me of Haiti :) i love the warmth and sense of community you get from the pictures! Great pictures and noble job for you. Great initiative for every visitor that extend hands towards the dire needy and buy products from township projects.